Department of Food Sciences and Nutrition, National School of Agro-industrial Sciences, University of Ngaoundere, P. O. Box 455, Ngaoundere – Cameroon. *To whom correspondence should be addressed. E-mail: mbawalaa@yahoo.fr. Received 09 May, 2017; Received in revised form 17 June, 2017; Accepted 05 July, 2017. Yellow Achu soup, Pendidam, Biosurfactants, Antimicrobial activity, Biopreservative. The consumption of yellow Achu soup in Ngaoundere presents a potential risk as alteration and pathogenic microorganisms are present in it. In order to ameliorate the microbiological characteristics of this soup, the extraction of crude biosurfactants, a biopreservative-like substance from pendidam and the study of its in vitro and in situ antibacterial effects against some groups of bacteria isolated from yellow Achu soup in Ngaoundere; constituted the objective of this study. Analyses were carried out on seven samples of the soup from some restaurants in Ngaoundere town. The soup samples presented a total aerobic and facultative anaerobic count ranging between 15.43 ± 1.23 × 103 cfu/mL and 38.30 ± 1.08 × 103 cfu/mL. Most of the samples contained both pathogenic and/or spoilage bacteria such as Salmonella spp., faecal streptococci and faecal coliforms. The antibacterial activity of crude biosurfactants against some strains isolated from yellow Achu soup was studied by determining their minimum inhibitory concentration (MIC) and minimum bactericidal concentration (MBC). Results obtained show that crude biosurfactants had bactericidal effect on all the three strains of bacteria tested. Faecal coliform strain had an MIC of 25 mg/mL and an MBC of 50 mg/mL while faecal Streptococcus sp. and Salmonella sp. had the same value of MIC (50 mg/mL) with MBCs of 50 and 100 mg/mL for faecal Streptococcus sp. and Salmonella sp., respectively. The crude biosurfactants extracted from pendidam had an MBC/MIC ratio value of less than 4 for all the three bacteria strains tested with an MBC/MIC ratio value of 2 for faecal coliform strain and Salmonella sp. ; and 1 for the faecal Streptococcus sp. The application of crude biosurfactants in yellow Achu soup to study its in situ antimicrobial activity has significantly reduced the microbial load of this soup. 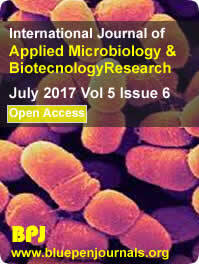 These results indicate that crude biosurfactants could be used as a potential food biopreservative, considering its in vitro and in situ antibacterial effects on micro-organisms found in yellow Achu soup.